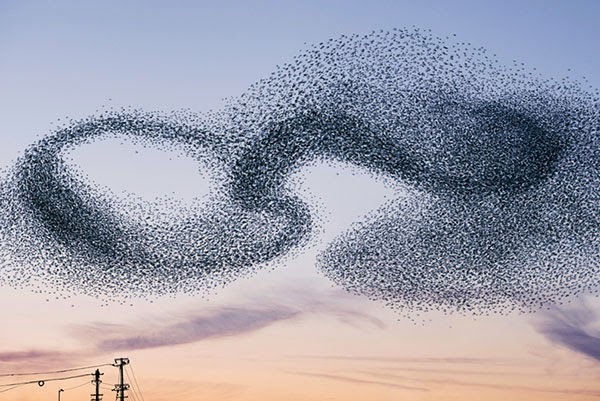 The mesmerizing act is typically seen at dusk throughout Europe, between November and February. 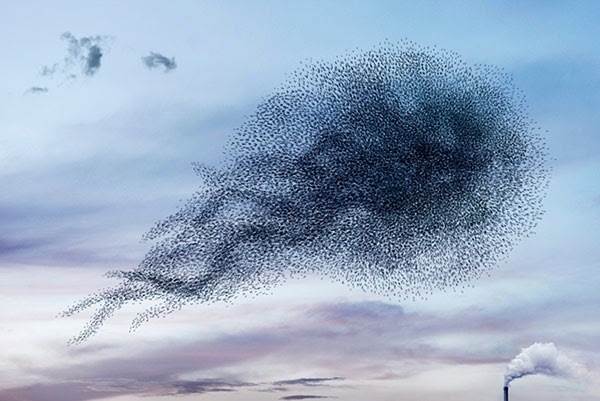 Each evening, shortly before sunset, starlings can be seen performing breathtaking aerial manoeuvres, before choosing a place to roost for the night. 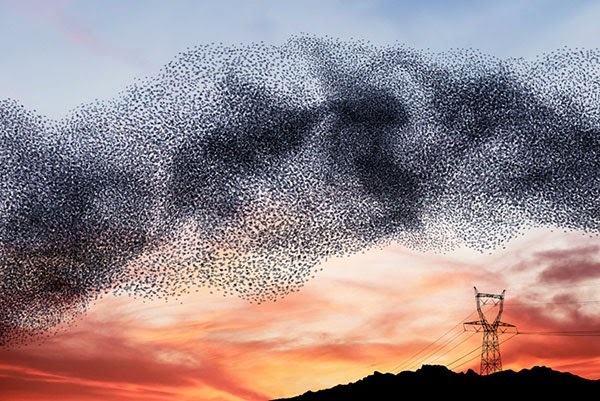 These range in number from a few hundred to tens of thousands of birds. 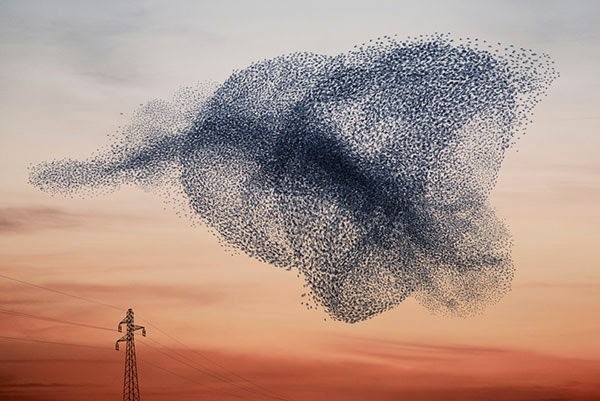 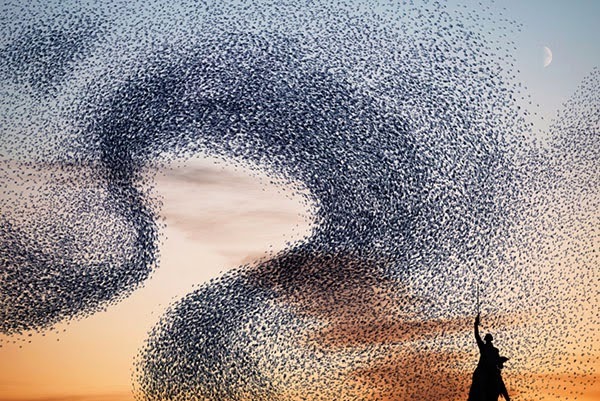 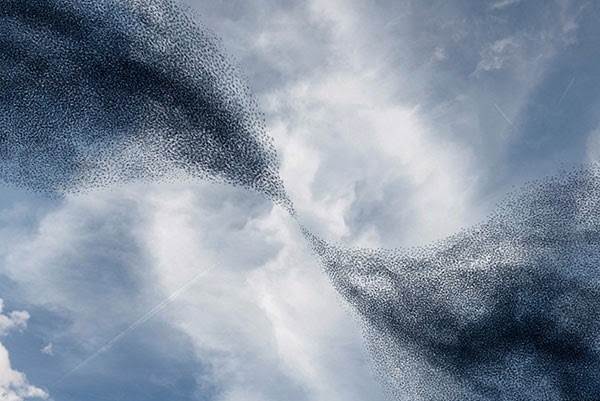 Murmurations exhibit strong spatial coherence and show extremely synchronized maneuvers, which seem to occur spontaneously, or in response to an approaching threat. 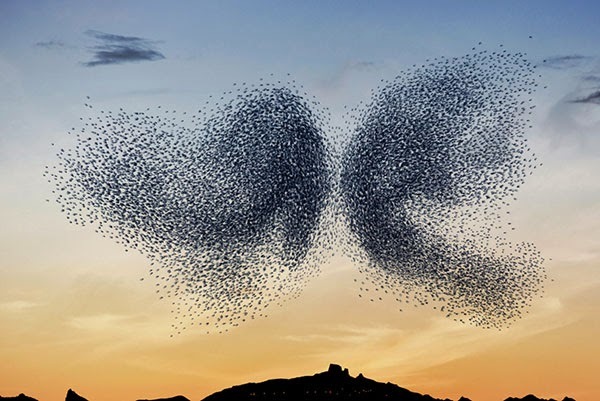 See also Richard Barnes' work.